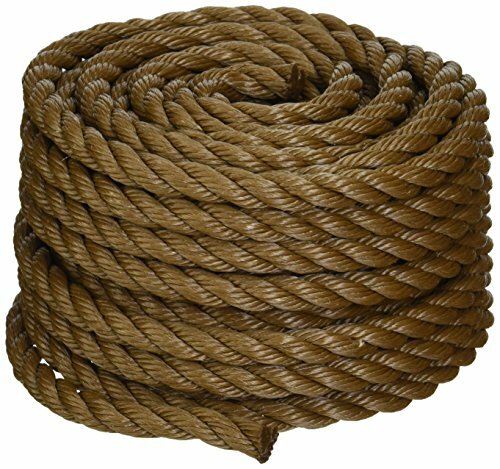 Polypropylene rope has a low stretch, good knot retention and is resistant to oils, rot, mildew and most chemicals. This rope can float and is ideal for use around water. General uses include swimming pool markers, camping and marine applications.General uses include swimming pool markers, camping and marine applications. Polypropylene rope has a low stretch and good knot retention. Resistant to oils, rot, mildew and most chemicals. Color is tan and trade size is 1/2 by 50 feet. The safe work load limit for this item is 420 lbs. The safe work load limit for this item is 420 lbs.